Carlisle smooth ramekin. Thick-walled, heavy weight melamine serves sauces, butter, salad dressings, salsa, etc. 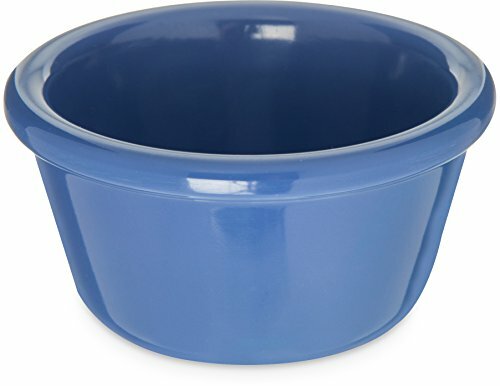 Unique faceted ramekins feature a special stacking design for easier storage. NSF listed and dishwasher safe. BPA free. Black color. 3.12-inches mouth diameter. Measures 2.12-inches base diameter by 1.43-inches height.